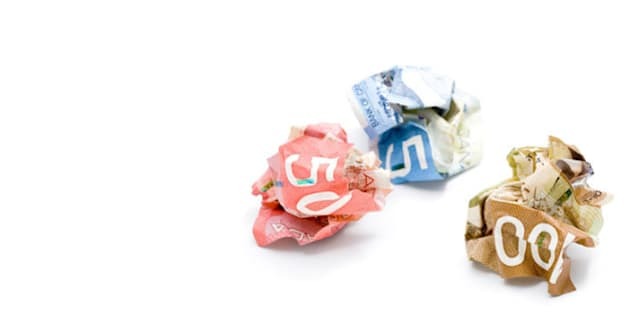 Money Kept by Canadian Taxpayers Is Not a "Loss"
The Liberal finance minister assumed that taxes were useful but indeed a loss -- not to government, but to the citizens who pay the tax. Taxes are necessary, but we must be judicious about the money sent to politicians and civil servants. That includes understanding the money first belongs to Canadians. With tax season at hand, here's a useful tip for any tax-weary Canadian. When some people refer to income or other money not taxed as a "loss" to government, remember that they may merely be using technical language. In contrast, others really do lament any reduction or "omission" in possible taxes that flow to governments. Understanding the difference is critical, because some who decry the "loss" often believe citizens exist for the sake of government and not vice-versa -- a rather unhealthy approach in a democracy. Consider some recent examples. Federal Finance Minister Joe Oliver recently hinted that the federal government may double the allowed annual contribution limit for Tax Free Savings Accounts to $11,000 (from $5,500). In response, one newspaper warned of how future TFSA withdrawals will be "costing future governments quite a lot" because TFSA gains are not taxed. Another example of the "loss" language. In February, the Office of the Parliamentary Budget Officer (PBO) analyzed the effect of doubling the TFSA contribution limit. According to the PBO report, in 2016 the current TFSA system will "cost" the federal and provincial governments an estimated $1.6 billion -- that's the money governments would receive if Canadians were forced to pay capital gains tax on investment gains in the TFSA. The PBO report estimated the effect of an $11,000 TFSA contribution limit. The 2016 "loss" (a.k.a. taxes not paid by taxpayers) would be worth almost $1.7 billion. Some perspective: In 2013 (the most recent year for this statistic), Canada's federal and provincial governments collected $646 billion in total revenue. So $1.7 billion represents barely more than one-quarter of one per cent of what Ottawa and the provinces collected in 2013. If Canada's governments cannot live with a minor nick to their finances, perhaps they should re-examine their spending. The point here is not ideological but practical. If the underlying assumption really is that money belongs first to government, rather than the reverse -- money first belongs to Canadians -- then there is less pressure for governments to justify the taxes taken and how the money is spent. Here, one must be sensible. As a practical matter, beyond a basic tribal level of organization, governments are necessary and taxes are part of the bargain. But conceiving of untaxed income or gains as a "loss" (for other than technical descriptions) is not a useful or healthy way to conceive of the deal between citizens and governments. For one thing, citizens deserve the presumption that their money is, in fact, their money. Furthermore, governments (and politicians and civil servants employed) are made up of fallible human beings. So a check on the ability to tax and spend, including an orientation that assumes those in charge must always prove they need our cash, is essential. That's because no one can perfectly plan how to spend other people's money. Or as Richard Cartwright, the first post-Confederation Liberal finance minister put it, "All taxation is a loss per se; it is the sacred duty of the government to take only what is necessary for the proper discharge of the public service; and that taxation in any other mode, is simply, in one shape or another, legalized robbery." Note Cartwright's assumption: The Liberal finance minister assumed that taxes were useful but indeed a loss -- not to government, but to the citizens who pay the tax. Taxes are necessary, but we must be judicious about the money sent to politicians and civil servants. That includes understanding the money first belongs to Canadians.